Posted on October 15, 2018 - By Fucosoft | Follow YouTube, Twitter to Get More Information. Many Apple users reported and complained about their contact names missing from iPhone suddenly. Only phone numbers appear instead of names in Contacts, Call Logs or Messages App. It is, unarguably, challenging to recognize or recite someone’s phone numbers without the names. The situation of losing contact names is really troublesome, especially when you need to phone one of your contacts urgently. If you’re stuck with the same issue that your iPhone showing phone numbers instead of names, don’t worry, this post is for you. 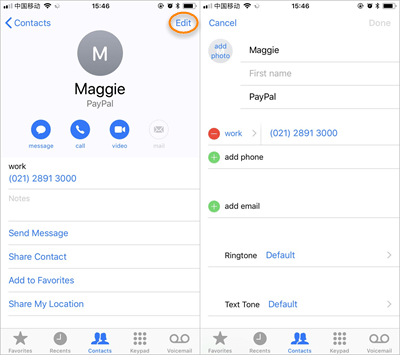 Here are 6 solutions that can help you fix iPhone contacts missing names due to iOS 12 update, iOS system crash, or other unknown errors. Just follow one of the solutions in this write-up and have your iPhone contacts showing up with the right names. All these fixes work for the latest iPhone XS, iPhone XS Max, iPhone XR and iOS 12. The iPhone system may run into issues having been active for several hours or days. However, this can be fixed immediately by force restarting your iPhone. Actually, restarting your iPhone has proven to fix many common issues, including iPhone not showing contact names. You can try it first when you cannot access your contact names. iPhone XS (Max)/XR/X/8/8 Plus – Press and quickly release the Volume Up button, then the Volume Down button. Keep pressing the Power button until you see the Apple logo. iPhone 7 or iPhone 7 Plus – Press and continue holding the Power and Volume Down buttons until the Apple logo shows up on the screen. iPhone 6s or below versions – Press and hold down the Power and Home buttons at the same time, release them when the Apple logo appears. On your iPhone, go to Settings and click on your Apple ID name at the top. Scroll down and click on “Sign Out”, then enter your Apple ID password. Click “Turn Off” and tap the buttons of the data types you wish to keep in your iPhone. Now click on “Sign Out” again and confirm. After you have completely signed out, click “Sign In” and enter your password. On your iPhone, go to Settings > Apple ID name > iCloud and toggle the Contacts off. Now toggle Contacts on again and you should have all your contacts including numbers and names restored. 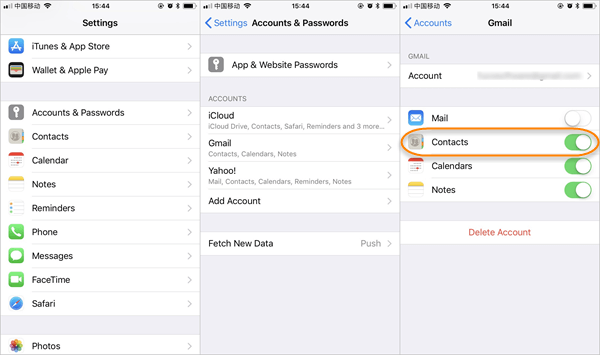 It is also likely that you may have your iPhone contacts synced with Google account instead of iCloud. In this case, the above iCloud solution will not work for you. You can check the steps below to see if you can find your contact names on the Google account. On your iPhone, go to Settings > Passwords & Accounts and select “Gmail” to access your Google account. Check if the Contacts is toggled on. If it is not turned on, toggle it on to get your contact names back. More often than not when contact names missing on your iPhone, carrying out a simple edit on the contact information can help the Contacts to refresh and make the entire contact details available again. Just check the steps below to edit and update your Contacts database. On your iPhone, open the Contacts app and choose any contact with missing name. Click “Edit” at the top-right corner to edit and update the contact’s information such as name, email, address, etc. 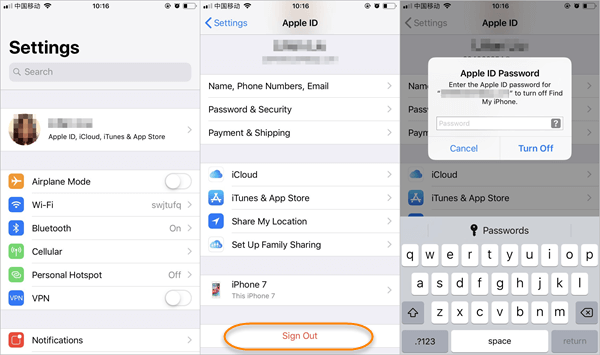 Click “Done” to save the change, this will refresh the Contacts database on your iPhone and fix the problem of iPhone contacts missing names. If you are still experiencing iPhone contacts missing names after trying all of the above solutions, you should take a third-party tool – Fucosoft iPhone Data Recovery into account. 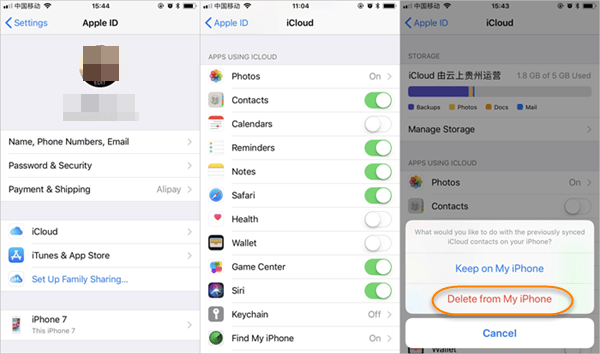 In addition to missing contacts, the software can also help you recover iPhone deleted text messages, call logs, photos, videos, WhatsApp, notes, voice memos, Safari history, voicemail, etc. It works on all iOS devices, including iPhone XS (Max)/XR, iPhone X, iPhone 8/7/6s/6 Plus, iPad etc. running on iOS 12/11. Download and install Fucosoft iPhone Data Recovery software on your PC or Mac, then launch it. Connect your iPhone to the computer with a USB cable. Wait for the program to detect the device and then click “Start”. In the listed file types, choose “Contacts” or any other data you wish to recover, then click “Scan” to start scanning immediately. When the scanning is finished, you can preview and check the contacts you need, then click “Recover” save them to your computer. Note: To keep your important contacts safe and avoid any future loss, we suggest you make a backup of your iPhone contacts regularly. Here we suggest you try Fucosoft iOS Data Backup & Restore, which can help you easily backup and export contacts on your iPhone to computer. With the various options provided above, you can quickly get back missing contact names without any hassles. All the steps are easy to follow to fix iPhone contact names missing and only show phone numbers problem. If you found this article helpful, please don’t hesitate to share or recommend it, so your friends can benefit from it too. Or if you know any other solutions to fix iPhone not showing contact names, welcome to share it with use in the comment below.